For more than 110 years, W.F. Hann & Sons has been providing businesses and homeowners throughout the Cleveland and Northeast Ohio area with the most outstanding heating, ventilation, air conditioning and plumbing services available. Our capable team of professionals are able to protect your home or your office from malfunctions, unsafe operation and poor air quality by ensuring your AC service is fully operational in order to maximize performance as well as significantly reducing the cost of AC operation and ownership. 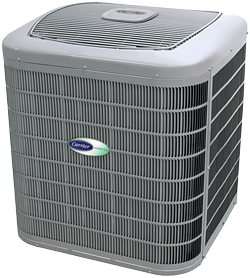 It comes as no surprise to discover that whenever business owners and homeowners in Solon are searching for the best AC repair, AC installation and AC service, the only name they need to know is W.F. Hann & Sons. With approximately 23,000 residents, Solon, Ohio is in Cuyahoga County and is a suburb of Cleveland and part of the Cleveland-Akron-Canton Metropolitan Area. W.F. Hann & Sons is located at 26401 Miles Road, Warrensville Heights, only a little more than four miles northwest of Solon. On the occasion that Solon customers are in need of a new AC installation or upgrade, they prefer to reach out to our NATE (North American Technician Excellence) certified technicians. Our NATE specialists are known for collaborating with Solon clients in order to best address their concerns in order to design and implement the most favorable approach to helping them save both energy and money. Furthermore, W.F. Hann & Sons is committed to creating a healthier, cleaner and more enjoyable environment, in addition to being dedicated to not only meeting the expectations of their Solon customers, but to consistently surpass them. W.F. Hann & Sons is distinguished for engaging in state-of-the-art technology, scrupulous engineering and unmatched product resilience. We are renowned for evaluating our clients’ needs and custom-designing the best AC installation systems, so customers will receive the optimum comfort, efficiency and value they deserve. As factory-trained, fully-insured and licensed AC repair, AC installation and AC service contractors, we handle each of our customer’s projects with the same care, attention to detail and professionalism that we would provide for our own families. In fact, W.F. Hann & Sons will never cut corners when it comes to our customers. For emergency services 24/7 or to schedule an appointment for AC repair, AC installation or AC service, call us, today, at: (216) 831-4200. We look forward to the opportunity to serve your needs.